The bubonic plague is the stuff of nightmares. This disease was responsible for some of the darkest times in human history. But it’s not something we have to worry about in the 21st century, right? You might have seen the recent headlines. The bubonic plague has been discovered in three different domestic cats in Wyoming. We’re here to set the record straight and provide some helpful information so you can learn more about the symptoms and what to do if your pet may be infected. At Steven Titus & Associates, P.C., our trial attorneys have dedicated their careers to protecting Wyoming residents. If you have any questions or need assistance concerning a personal injury in Gillette, don’t hesitate to reach out to us at (307) 257-7800 to learn more. How Did the Plague End Up in Wyoming? Fox News reported that a cat in Kaycee, Wyoming, was found to be infected with the bubonic plague, according to state health officials. The case was confirmed by the Wyoming State Veterinary Laboratory in Laramie. The cat in question was known to wander outdoors, but there was no information as to where it may have contracted the potentially deadly bacterial infection. This was the third cat infected with the plague in Wyoming in the past six months. The previous two cases were located in Sheridan and Campbell Counties, respectively. The Campbell County case was reported in early November of last year. While the bubonic plague was mostly wiped out centuries ago, there was actually an outbreak at the turn of the 20th century. This is referred to as the third major pandemic, and it originated in East Asia and spread around the world via major shipping ports. It struck San Francisco around 1900 and lasted for several years. Fortunately, the discovery of penicillin has ensured the disease is treatable. Without penicillin, the death rate in affected individuals is as high as 90%. Currently, experts believe the disease is still present in the wild, and is transferred by rats in the United States. Over the past 100 years, there have been over a thousand reported cases of the plague in the U.S., mostly concentrated in the western states. What Are the Symptoms of the Bubonic Plague in Animals? With the bubonic plague, the main symptom you will find in a cat (or dog, though they tend to be more naturally resistant) is an enlarged lymph node, which may be abscessed (filled with pus) if the disease has progressed. Other symptoms include fever, low appetite, sleepiness, mouth ulcers, skin abscesses, eye discharge, diarrhea, and vomiting. There are other forms of plague besides the bubonic plague. An animal with septicemic plague may not show any obvious problems with its lymph nodes. But it will have some of the other symptoms, such as fever, lethargy, and loss of appetite. 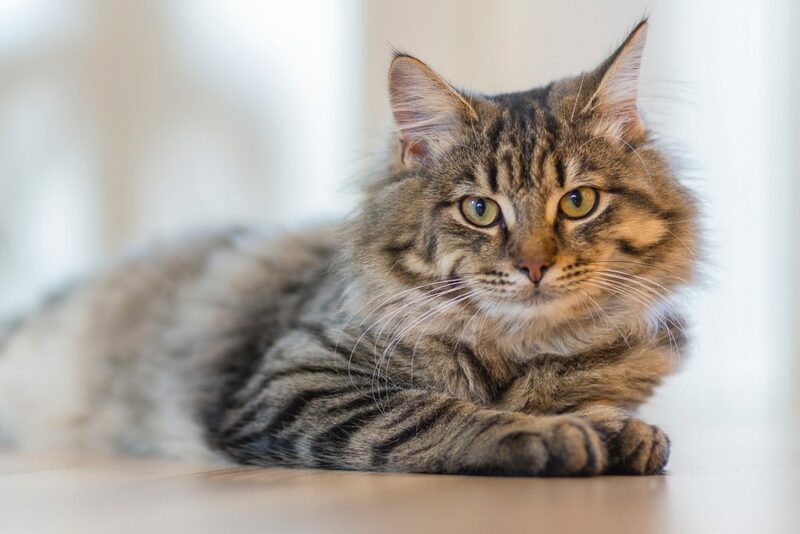 Cats have never been found to have primary pneumonic plague, but there have been cases of secondary pneumonic plague, which has the same symptoms as septicemic plague, as well as a cough or congested lungs. If you are worried your cat or other pet has the plague, take the animal to your vet immediately. They will take samples from your pet’s blood and lymph nodes to test for the presence of plague-causing bacteria. Can My Cat Transfer the Bubonic Plague to People? Any history buff out there knows the bubonic plague spread rapidly because of rats, fleas, and other carriers of the disease in overcrowded, unclean conditions. The transfer of the infection from animals to humans is a very real threat. If you have reason to believe your pet might be infected, isolate it immediately, and take it in to see a specialist. It is especially critical that you keep your children away. The good news is that if detected early enough and treated with antibiotics, your pet should make a full recovery. Of course, the best course of action is to prevent your pet from becoming infected in the first place. Steps you can take include keeping your pets from roaming or hunting outdoors, limiting their contact with animal carcasses (especially rats and rabbits), and using effective flea repellent. From everyone at Steven Titus & Associates, P.C., we urge you and your family to stay safe and take all necessary precautions to avoid the plague. If another person’s animal has bitten or scratched you, we may be able to assist you in filing a claim for compensation. Talk to a Gillette dog bite lawyer today at (307) 257-7800. After a Horse Accident, What Can You Do?